On March 21, Dane County Circuit Court Judge Richard Niess issued an order granting a temporary injunction prohibiting the enforcement of laws passed in the 2018 Extraordinary Session. Provisions blocked by the order include limits on the attorney general's authority to withdraw from or settle certain cases, the legislature's ability to intervene in certain lawsuits, agency guidance documents transparency requirements, increased legislative oversight of agency rulemaking, and 82 agency appointments. Continue reading about the lawsuit. Gov. 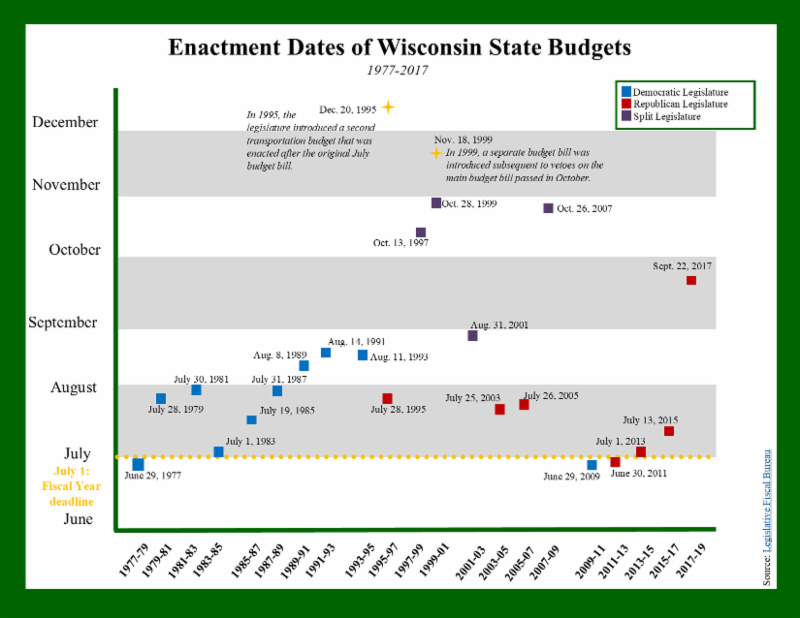 Tony Evers released his proposed 2019-21 state budget on Feb. 28, officially beginning the biennial budget process. The legislature's Joint Finance Committee (JFC) has introduced the governor's budget bill as SB 59/AB 56 and is now waiting for the Legislative Fiscal Bureau to prepare its budget papers, which will guide JFC's review and voting. Continue reading about next steps in the budget process. Gov. Tony Evers's proposed 2019-20 state budget would make significant changes to Wisconsin's Unemployment Insurance (UI) and Family and Medical Leave Act (FMLA) laws. Continue reading about specific changes to UI and FMLA employment law proposed by Evers. Although the legislature is not planning to meet in March and may not meet in April, too, for floor action, several notable health care related bills are making their way through committees. Below is an overview of major health care issues this session and their current status in the legislative process, including pre-existing conditions, prescription drug costs, dental issues, and more. Continue reading about the health care bills. This week, the Assembly Committee on Corrections and the Senate Committee on Judiciary & Public Safety held public hearings on AB 5/SB 5, which would provide protective status to county jailers statewide. The bill, which has received bipartisan support, authored by Rep. Mark Born (R-Beaver Dam) and Sen. Howard Marklein (R-Spring Green), would provide jailers benefits including the ability to retire at an earlier age (50 years old) and to receive duty disability benefits if they are injured in the line of duty. Continue reading about the bill. The Speaker's Task Force on Water Quality met for the first time in the state capitol this week to hear testimony from state agencies on water quality issues throughout the state. The committee hopes to put forth bipartisan legislative recommendations on clean drinking water by this fall. Continue reading about the task force meeting. The Wisconsin Department of Natural Resources (DNR) is currently promulgating rules that would update DNR code related to air permitting processes (Wis. Admin. Code NR 406 and 407). The rulemaking includes provisions to create some additional permit exemptions, implement electronic reporting, clarify certain types of activity to which permits apply, and restrict administrative corrections to permits, among other provisions. Continue reading about the proposed rules. Gov. Tony Evers is continuing to fill appointed positions in the administration. Recently announced appointments include staff at the Public Service Commission, Department of Safety & Professional Services, Department of Children & Families, and Department of Workforce Development. Senate committees have also begun holding confirmation hearings on cabinet secretaries appointed by Evers. Our updated appointments list notes the status of each secretary's Senate confirmation. Click here for the full updated list of appointments. 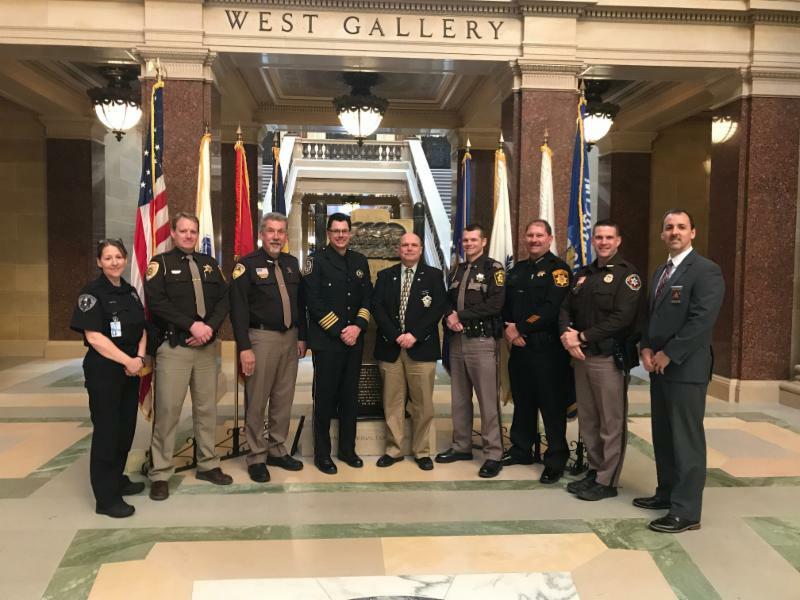 Eighteen new members were officially inaugurated into the Wisconsin Legislature on Jan. 7, 2019. Over the past several weeks, HCG has highlighted each new member of the legislature. Below is a recap of each Get to Know a Freshman article this session. Want to end gerrymandering in Wisconsin? Tony Evers says look to Iowa. Republicans say not so fast. : Milwaukee Journal Sentinel, March 22, 2019. Scott Walker joins GOP redistricting group as finance chair: Politico, March 21, 2019. Wisconsin swing voters know AOC better than most 2020 Democrats: Axios, March 21, 2019. Proposed state building projects in jeopardy as commission deadlocks: Wisconsin State Journal, March 21, 2019. Candidates for Barca's vacant seat debate issues: Racine Journal Times, March 20, 2019. David Bowen runs for Democratic Party chairman: Wisconsin State Journal, March 20, 2019. What the heck is socialism anyway? Opinions in Wisconsin shaped by a growing generational divide: Appleton Post-Crescent, March 20, 2019. Wisconsin withdraws from multistate lawsuit seeking repeal of ObamaCare: The Hill, March 21, 2019. Medicaid work rules harm hospitals, study finds: Wisconsin Public Radio, March 21, 2019. Milwaukee plans to provide doulas to 100 women: Wisconsin Public Radio, March 20, 2019. Health plans for state employees use Medicare's hammer on hospital bills: National Public Radio, March 20, 2019. 'We have a long way to go': Gov. Tony Evers outlines priorities for youth mental health: Stevens Point Journal, March 20, 2019. Madison utilities seek to expand customer access to solar energy: Wisconsin State Journal, March 20, 2019. New map shows Chicago and Minneapolis among top metro areas for solar jobs growth: Solar Power World, March 20, 2019. Floods show national security threat posed by climate change: Janesville Gazette, March 22, 2019. More chemicals found at Badger Army Ammunition site near Merrimac: Madison.com, March 21, 2019. Great Lakes states are warming faster than the rest of the country, more flooding is in store, new report says: Milwaukee Journal Sentinel, March 21, 2019. Superior advances project to clean up contamination in Howards Bay: Wisconsin Public Radio, March 21, 2019. Agencies ask Wisconsin lawmakers to approve measurers in Tony Evers' budget to clean up drinking water: Milwaukee Journal Sentinel, March 20, 2019. Vos panel considers health threats from water pollution: Daily Reporter, March 20, 2019. GOP-led panel seeks bipartisan law changes to clean up Wisconsin's water: Wisconsin State Journal, March 20, 2019. Judge blocks GOP lame-duck laws limiting Tony Evers' powers; Evers seeks to remove Wisconsin from Obamacare challenge: Wisconsin State Journal, March 22, 2019. Gerrymandering lawsuits are pending in a dozen states: U.S. News, March 21, 2019. Wisconsin judge blocks Republicans' move to limit Democratic governorâ€™s power: New York Times, March 21, 2019. Democrats want to stop paying outside attorneys: WXOW, March 21, 2019. Wisconsin AG moves to withdraw from lawsuit: Wisconsin State Journal, March 21, 2019. MillerCoors sues Anheuser-Busch in Madison court over corn syrup ads: Wisconsin State Journal, March 21, 2019. Enbridge v. Dane County: Isthmus, March 21, 2019. Abrahamson withdraws from 3 more cases: Wisconsin Law Journal, March 20, 2019. Supreme Court candidate Lisa Neubauer gets Planned Parenthood's backing after years of family ties: Milwaukee Journal Sentinel, March 20, 2019. Wisconsin Supreme Court candidates stand by records in second debate: Wisconsin State Journal, March 20, 2019. Wisconsin unemployment drops to 2.9 percent in February: Daily Reporter, March 21, 2019. Proposal would eliminate tax break for businesses that leave Wisconsin: Wisconsin Public Radio, March 20, 2019. Wisconsin's construction unemployment rivals historic lows, says ABC: Daily Reporter, March 20, 2019. Racine, Foxconn join forces as council OKs public-private partnership: Madison.com, March 20, 2019. Tony Evers wants to boost unemployment benefits, remove barriers to qualify for them: Wisconsin State Journal, March 20, 2019. How would repealing the minimum markup law impact gas prices? WQOW, March 21, 2019. Gas-tax hike: A rare big idea with bipartisan backing: Wall Street Journal, March 20, 2019. Over $1 million in infrastructure flood damage, costs reported across Wisconsin: Wisconsin State Journal, March 20, 2019. UW chancellors: Evers budget plan could keep talent in Wisconsin: Wisconsin Public Radio, March 20, 2019.